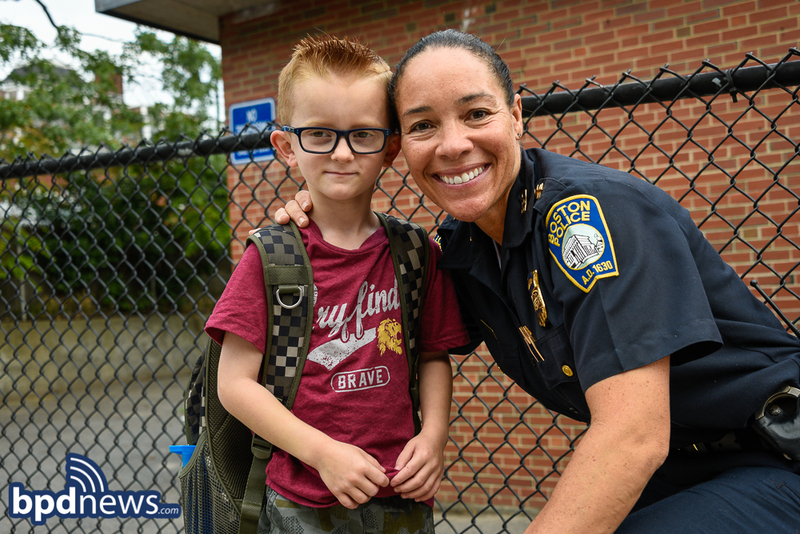 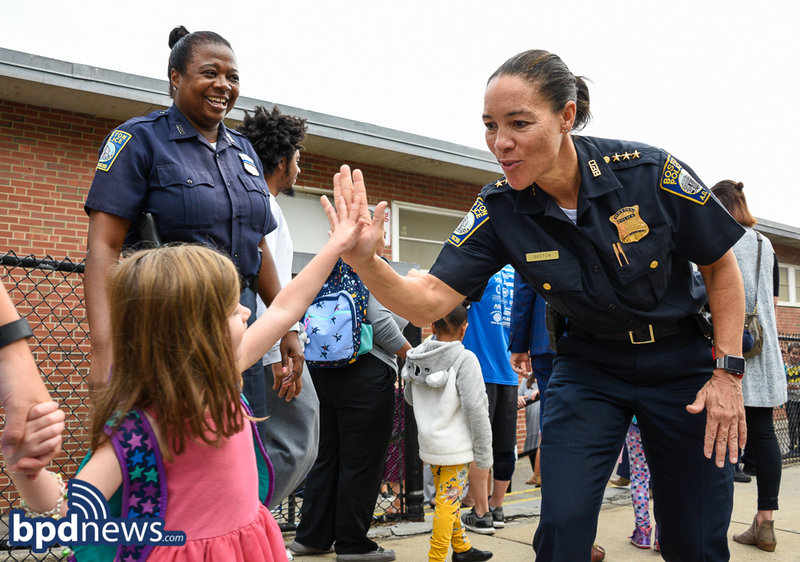 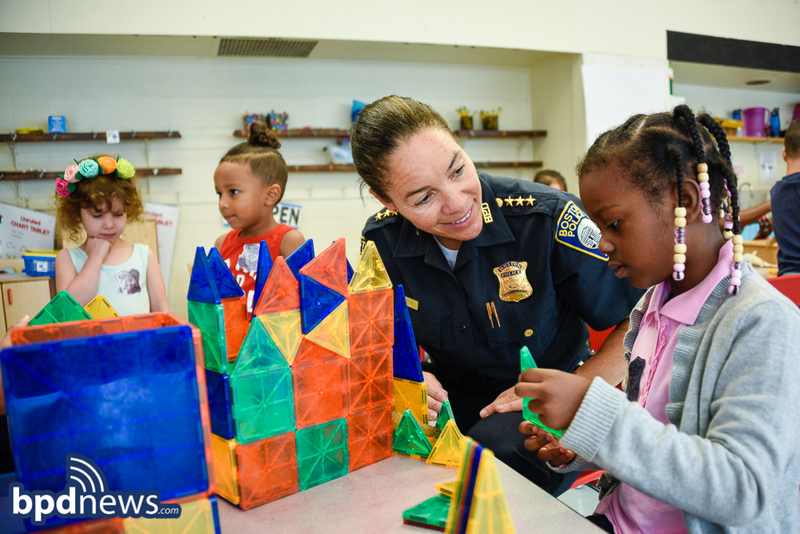 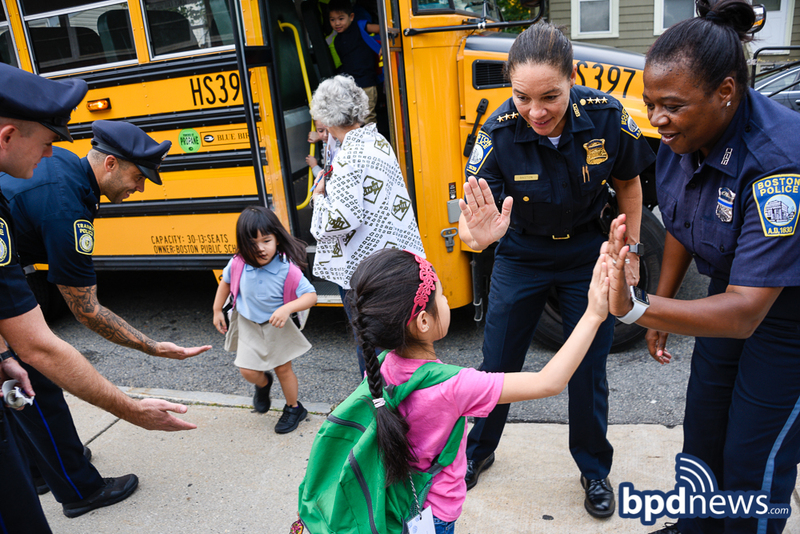 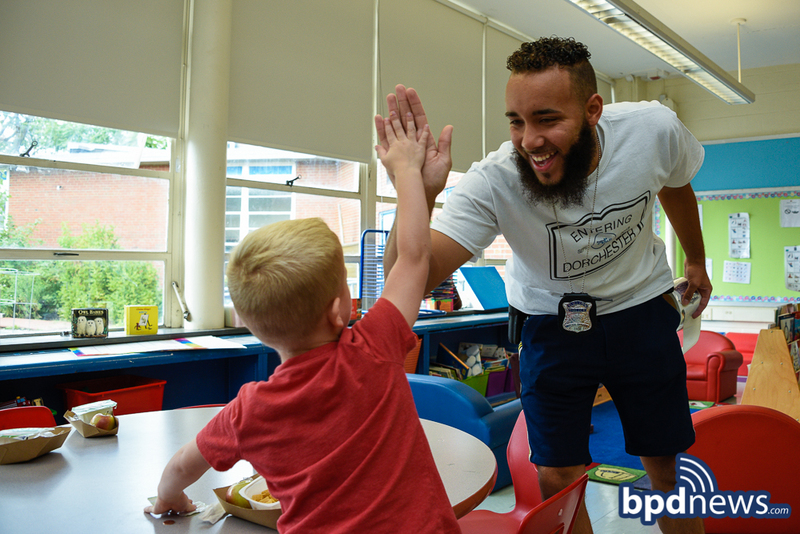 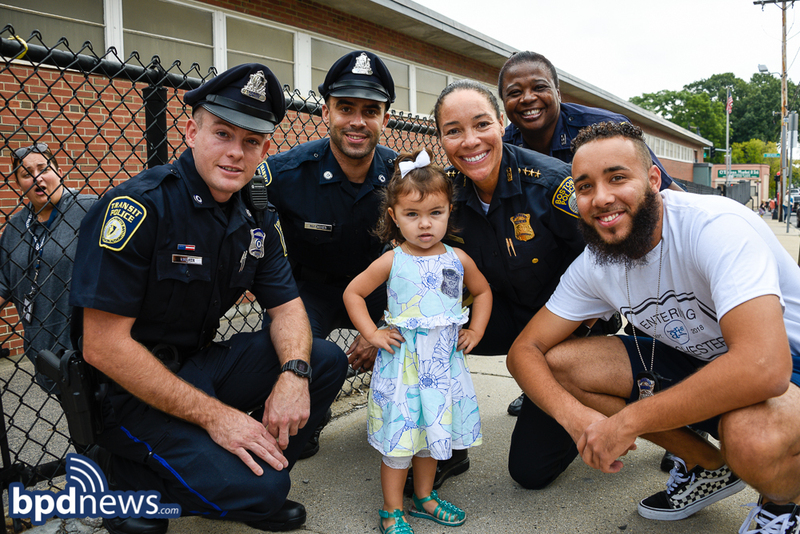 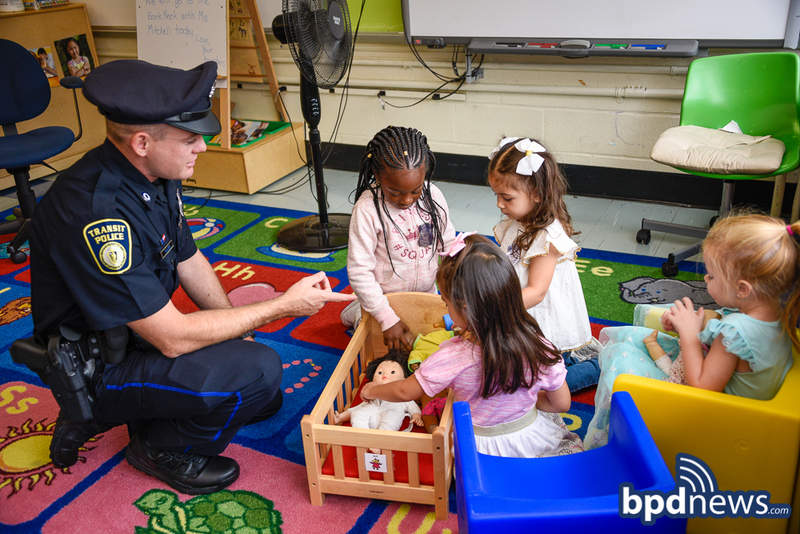 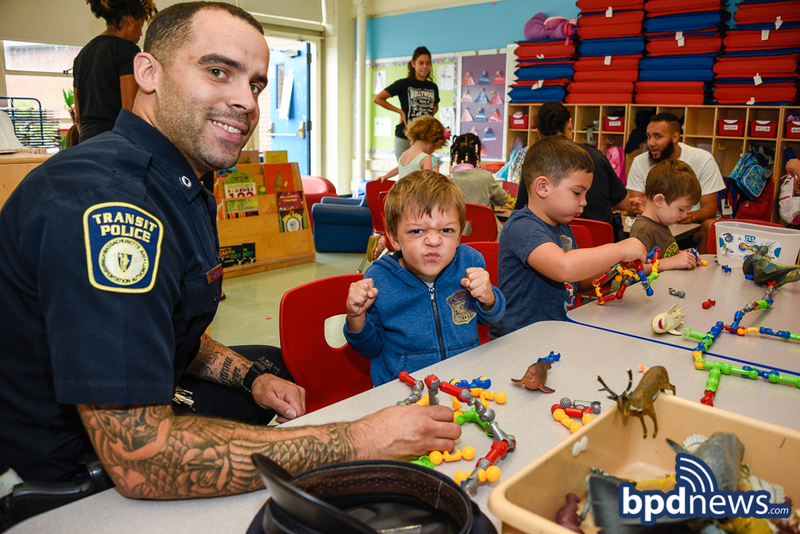 Earlier this morning, on Friday, September 14, 2018, Boston Police Officers and Transit Police Officers met at the Henderson Lower School in Dorchester (District C-11) to greet the students for this week's High5Friday. 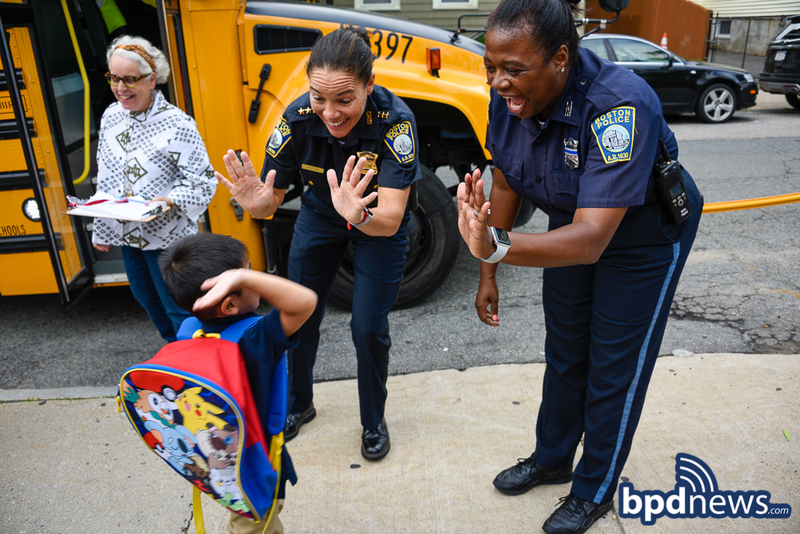 The kids were surprised and excited as you can see by their faces! 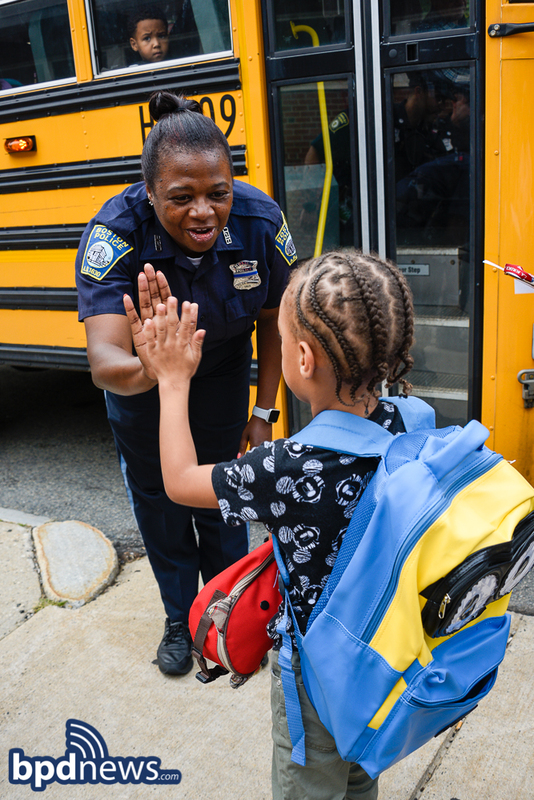 After greeting the young students as they exited their buses, the officers escorted them into their classrooms and stayed to play and learn for a little while. 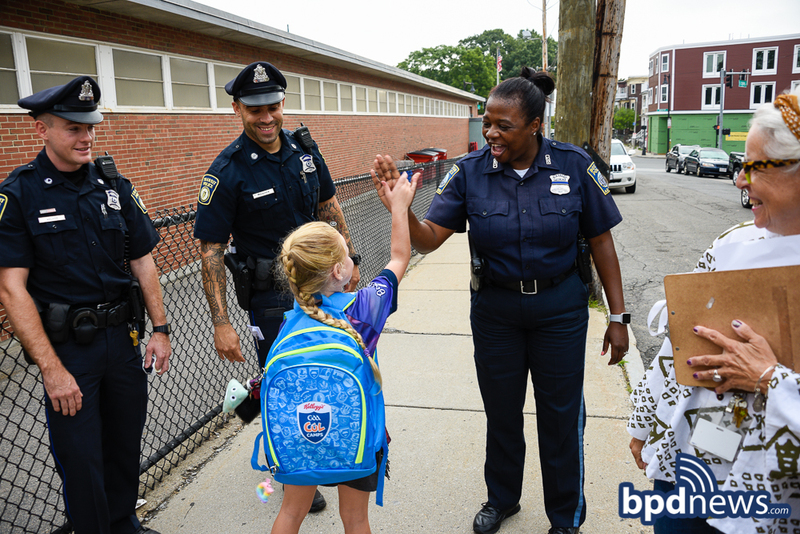 All the students agreed that this was their best day of school ever! 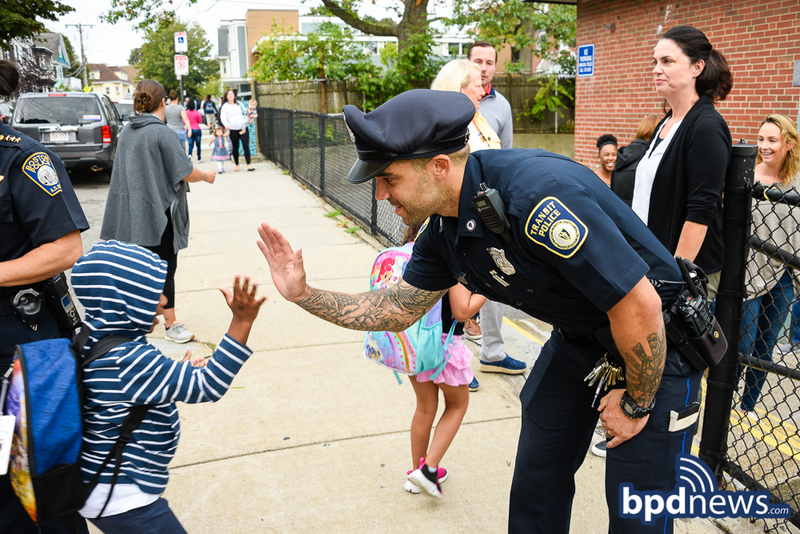 High fives, stickers and words of encouragement from not one but two local police departments made every student feel special.